One of the things we love about the city of Coventry is our Ethnic Diversity. According to recent estimates about 20% of our population (316,900 as of 2011 ) is made up of non white British residents. We choose to celebrate our ethnic and cultural diversity on a regular basis. One way we do this is by inviting friends, family, neighbours and work colleagues to a special Sunday Morning Service. This morning gathering is followed by a bring and share lunch with a truly international flavour. Most recent population estimates from 2011 census. Estimates of the population by ethnic group. 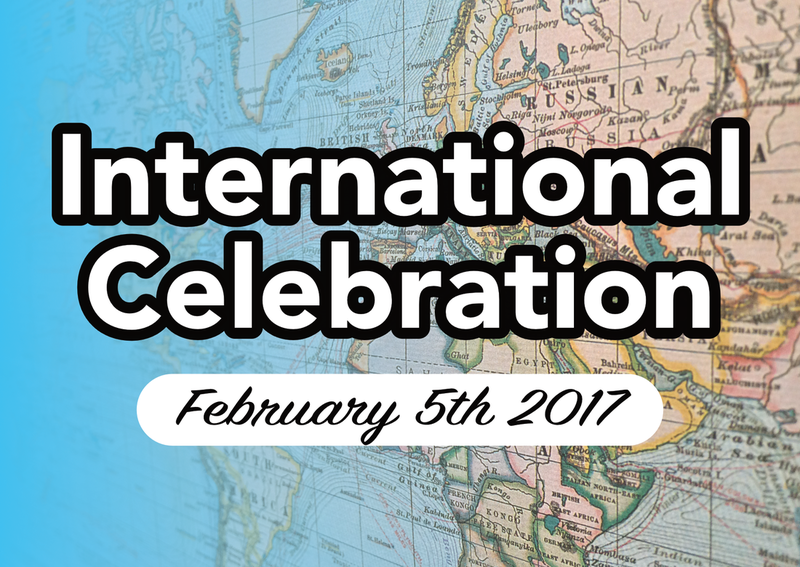 Our last International Celebration was on February 5th 2017. Our next one will be early 2018, at Sidney Stringer Academy from 10:15am. We hope you will join us to celebrate the diversity of our wonderful community and city. Thank you to the Lord Mayor of Coventry, Councillor Lindsley Harvard and Matt Robinson from Fresh Start for coming to speak. ​Humanity is meant to be a community of interrelated people loving God and one another as servants in God’s world."